The law allows the citizen of the Russian Federation a written request to any government Agency and personally to its Manager. Requirements for the letters are the same as for any appeal to any authority. 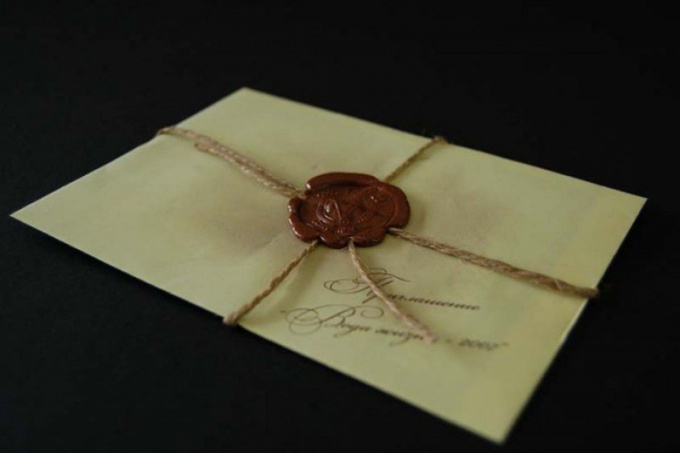 Reading your letter will not necessarily be exactly the one to whom it is addressed. But this does not mean that your letter does not respond properly. Especially if it is about the gross violations. - a pen (not always). According to the Federal law "On procedure of consideration of citizens of the Russian Federation", any reference to a public authority should contain information about where it is addressed. It is enough to name the power structure. However, if you are applying to a particular official, please provide the title, name, surname, and patronymic. If you write to the Minister of health and social development will not be superfluous to state: "the Minister of health and social development Minister Golikova T. A.". Because people in the Ministerial chair tend to change, it is best to clarify who holds this position at the time of writing you treatment. This information can be found on the website of the health Ministry or elsewhere on the Internet, fresh print media. Below, enter your surname, name and patronymic, the postal address with the index at which you prefer to receive the answer. If set to the address of your registration at place of residence that differs from ' actual residence, enter with appropriate reservations, both. If desired, you can specify the phone, better mobile or city by which you can be found in the working time. This is necessary to running your report, the official could to call you, for example, for further details. But it's not necessary. A strict standard of posting all of this information: in top left corner or the right. 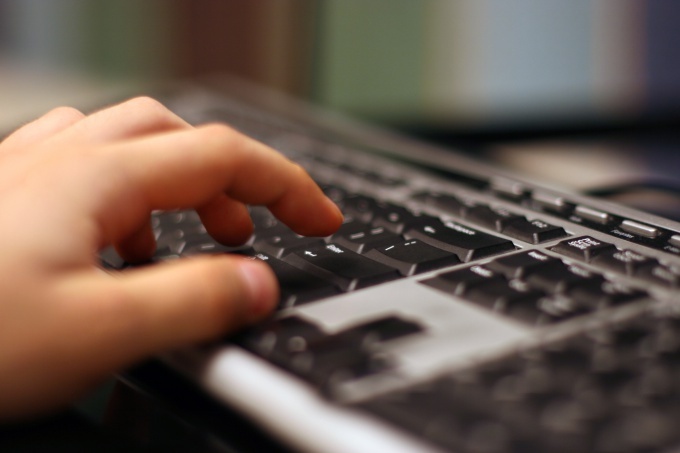 In the second case, when writing a complaint on a computer it is better to use the tabulator and not the option to right-align. Titling their letter is optional, but better to do it. So you make it easier for those who distributes the complaints of citizens on immediate executors. Usually in the upper line indicates the kind of document: complaint, information request, offer. You can simply for "treatment". Often all the words are capitalized, sometimes bold, but this is optional. Optional and align center, but it can be done. Below it is advisable to specify the subject of the letter: whose misconduct complain, to what sphere of activity of the Ministry is your query or proposal. Now it's time to move on to the content of the letter. It outlining your treatment. Write in connection with what are turning. If we are talking about the incident, tell us what, where, when and with whom they happened, what actions made in your address, consider unlawful what current laws are violated and what are your rights infringed those that offer or what you ask for. Will not be superfluous to stress that the law prohibits to send an appeal to whose action it appealed. If you prefer to receive answer not on the address register, specify which one he should send. If you are applying via online foster the health Ministry, simply open the desired page on the Ministry's website and copy the letter there. If you want you can send it by mail or take them to the Ministry personally. To do this, print the letter, put the date and sign. In most cases your appeal will be forwarded to the regional level. However, the law does not prohibit you to apply directly to the Ministry and personally to the Minister, even if the topic of your letter - the situation in the district hospital or rural clinic. There are also cases when an appeal to the Federal level served to ensure that the measures in the letter was taken strictly according to the law. Often this situation arises when a patient remains dissatisfied with the quality of service by medical staff. As a rule, people are afraid to assert their rights or simply don't know where to start. Write a complaint to the health care need in the case when the violation of human rights and it has not been granted the assistance guaranteed by law. A complaint to the health care can write on any health professional. This can be done via the Internet, in person or by mail. In any case the complaint in writing. Important making complaints, it should contain specific facts, indicate unethical practices. If to formulate the complaint difficult, you just need to allocate a circle of all the claims and each of them to create a separate complaint. First, include your personal details, if possible a phone number and definitely an email address. Consistently describe the essence of the claim to a specific physician or other health care professional. If you for some reason don't know his name, you can just write the number of an office or institution in which violated rights. It is enough to specify the hospital or specialized physician. Present the problem in a compressed form, only the specific facts and avoid the complaint of emotions, foul language and familiarity. You can follow the law and specify in the complaint, in accordance with some articles violated your rights. Avoid vague wording, try to state only the facts and describe the illegal, in your opinion, the actions of doctors in a given situation. At the end of the complaint ask the health professionals to understand the above and to help restore the right to medical services of adequate quality. May be asked to act on a doctor disciplinary or administrative. In any case, it is your right. Specialist of health may contact you personally to clarify the information set out in the complaint. They will be conducted to check the reliability of the stated facts, subsequently, you will receive a response in writing with the outcome. If you are sending a complaint by mail, do it certified mail with the notification. If we personally, ask the Secretary to make a mark on the second copy of the document on its receipt. Remember that a complaint is better to write in a few instances . Try everywhere to get a written confirmation of its delivery to the addressee. The Internet is hard to do, however, you can write and through the official website of the Ministry of health of the Russian Federation. Anonymous complaints are not considered health. Therefore, to specify the data required for each reference. Do not pull in the filing of a complaint, try time to formalize their claims in proper form. Health is indeed a sore subject. The quality of medical care, and conditions of service of citizens, qualified doctors are not always satisfied patients. Not everyone affected by rudeness or inability to timely reach the right person have the courage to defend their rights. But you should do it. The first step could be a complaint against the facility. Think, does your dissatisfaction with the work of the individual physician or clinic as a whole. In the first case, it makes sense first to complain to the head of the Department of ambulatory care and then the doctor. If this is not effective, write a complaint to the very hospital. Decide where best to write the complaint. To complain about the treatment facility in district or city departments, branch, regional Committee or directly to Minzdravsotsrazvitija Russia. In some cities clinics are run by the Federal medical-biological Agency. Local governments in these cases have no influence on the leaders of medical institutions, so complaining makes sense directly in the FMBA. In any case, it is effective treatment to the insurance company. Specify that you are not satisfied with the work of the clinic. About the condition of the building or conditions in which doctors work, the shortage of specialists to apply in the departmental structure or a healthcare. If you had a poor help or tried to take money for something that should be provided free of charge, send a complaint to the insurance company. You can simultaneously appeal to all three structures. In the upper right corner of your complaint please specify what official or what Agency you sent. Below, write the surname, a name, a patronymic, the postal address with the index, contact telephone number and email address. Phone it is better to give work or mobile. The complaints of citizens, officials are considering during working hours. If you do not live where he is registered, enter both addresses with appropriate remarks. Stepping back a bit from "caps" write the name of the document, and just below — the work of a medical institution or doctor you appealing. State the nature of your claims. If we are talking about the rude employees of a polyclinic or inability to get to the doctor because of long queues, write the date of the incident. In the complaint for charging for the free service, specify what articles of the agreement on health insurance is broken. In every public health clinic in a conspicuous place should be a list of services provided by compulsory medical insurance policy. The lack of such a list is itself a reason for going to the insurance, healthcare, and even to the Prosecutor. Express thoughts in a clear, understandable and without unnecessary emotions. After you describe the situation in the clinic, describe what you are asking of the recipient. The insurance company or the health Ministry can offer the accuracy of the facts that you gave, as well as the work of the clinic as a whole. Local authorities can help medical institution to deal with repair or utility difficulties. You can ask the recipient to obligate the clinic to eliminate the violation of your rights, if any. Request for application of measures of administrative influence are also quite appropriate. Send a complaint in several ways. The municipal health Department or local Department of insurance it is better to take her in person to register with the Secretary or in the General administration Department. Retain a copy. The number on the message, you can track the movement of the document. In regional or Federal authority send a complaint by registered letter with notification. You can send a complaint by e-mail or via the Internet reception. In any case, the proper person will be considered according to the Federal law "On procedure of consideration of citizens of the Russian Federation". You must first send a notice that your complaint was received. It is given five working days. A month after the registration of the document you should get a response on the action taken. The text of the complaint should not be profanity, insults or threats. If they are, the complaint is left without consideration. When it comes to the condition of the building hospitals, conditions in which there are patients and doctors, it makes sense to first write a complaint to your local health Department. The problem of staff shortage can also be in many cases with the help of the municipality. If you are not satisfied with the quality of services view that the obligation to provide medical facility on the basis of the contract of obligatory or voluntary medical insurance. 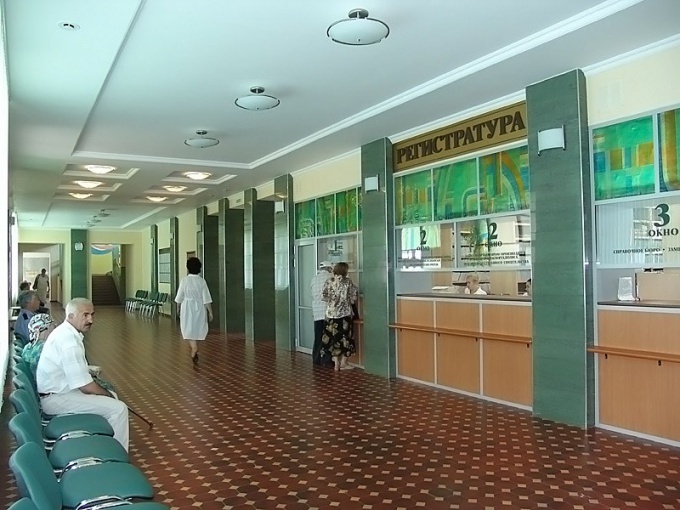 On the state of Russian hospitals and quality of treatment patients complained quite often. Reasons for this abound: jam-pocketed chamber, no repair, shortage of medical staff, mud in the clinic, attempted to take the patient's money for something that should be provided free of charge – the list is quite long. People are sometimes afraid to complain, fearing that, in addition to extra trouble, it won't work. Regardless of what the medical establishment has caused your grievance, walking the chain of command start with the hospital administration. The complaint is written in free form. Usually documents of this type in the upper right corner indicated, and to whom the complaint is made, and contact information. In the main part of the document, specify compelling reasons for you to contact management, point of incident, time, place, name of the doctor or nurses that you complain. Regardless, the document is written by hand or typed on a computer enter the date of the filing of the complaint and sign it. If the complaint was caused not specific personnel actions, but, for example, dirt in the chambers and corridors, violation of the mode of ventilation and a chore, dirty dishes in the hospital canteen and other violations of sanitary norms – apply to the body of sanitary-epidemiological supervision. The specialists of this organization on your call are required to verify compliance with sanaperheita. Finding of a violation, they will issue an order to correct deficiencies. In all the public hospitals in a conspicuous place should be posted a list of the services that are provided to patients free of charge. Funding these services are insurance funds. Despite this, it happens that services from this list to provide patients with a fee. In such a situation, make a complaint to the mandatory medical insurance Fund. His name and contact details you will find on your insurance policy. The complaint is also written in free form with indication of the medical institution and the applicant. The same should be done if you have a policy of voluntary insurance, but the medical institution has violated conditions of granting of medical aid defined by this document. In medical insurance company contact and in the case where due to improper treatment of your health damage or for this reason, you have lost a loved one. In any case, the insurance company is obliged to assign test and find out whether the cause of the tragedy was the wrong treatment. To complain about the hospital and the health Department, if the hospital is subordinate the Ministry of health, or the Federal medical-biological Agency, if the violation occurred in a medical institution within the jurisdiction of this organization. In the latter case there are some nuances, because some offices are financed from municipal or regional budgets. That is, in some cases, the treatment facility under the jurisdiction of the FMBA, you can still complain to gorzdrav. Very effective can be the treatment in a healthcare. File a complaint by regular mail and electronic. The appeal should be short and succinct. If you already have the answers from the administration of a hospital or health Department, they can be scanned and enclosed to the letter. To protect your rights, including the right to health, urged the Prosecutor's office. Contact the Secretary, who will not only explain to you how to write a complaint, but will show samples of various documents. Your complaint the Prosecutor's office should conduct an audit. If necessary, it can initiate a judicial procedure. In court you can ask yourself, but it is better to enlist the support of a lawyer specializing in health issues. Sadly, quality free medical care is poor. Often the people who came for help to the clinic, faced with the indifference and lack of respect from doctors. Of course, such attitude is unacceptable. Therefore, it is necessary to know in which instances you can complain about a particular doctor or the clinic to find justice for the medical staff. Irresponsible doctors need to work with the help of the chief doctor of the clinic. He monitors the correct performance of the duties of their subordinates. About poor health care, you can also contact the special hotline, which exists in the departments and departments of public health. Its purpose is to gather information about the quality and accessibility of health care in various urban and regional clinics. Not be amiss to write a statement directly to the Department of health of the city or district where is located the polyclinic. Thus, anyone can call or contact such bodies, respectively, to leave a complaint on the poor quality of medical service. It should be noted that these actions can be caused by a variety of unpleasant moments in the course of providing care, for example, rude attitude and insult the patient. In the absence of reaction on the part of these departments to ensure that the activities of public health institutions should send a complaint to the Mandatory Medical Insurance Fund, which finances medical care and forcing physicians to obey. This letter will be considered special services, after which it will go to the clinic to provide response to this complaint. Clarification of the management of the institution at which occurred the incident must be submitted to the patient in full. In extreme cases you can complain to the Federal service for supervision in the sphere of healthcare and social development. As a rule, to the treatment of patients in this organization encourage serious reasons. These include persistent loss of health of the patient (death), as well as financial losses. It is important complaint to be properly and competently with personal data for subsequent response. You should also list the names of specific individuals the medical staff of the clinic, which issued the claim. Roszdravnadzor is what counts, so if necessary you can resort to its help, outlining all the details of the problem. Every Russian citizen has the right to high-quality modern medical assistance. Many health care services should be provided free under the program of obligatory medical insurance. 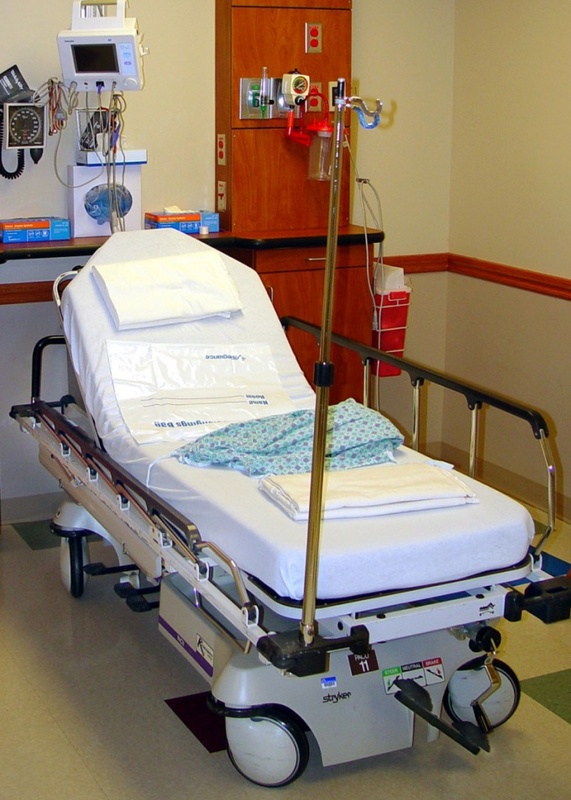 Unfortunately, hospitals and clinics don't always work the way we would like the patients. Reasons for complaints the Russians abound, including the Ministry of health. - copies of letters to the insurance company, local and regional health departments (if any). Consider whether you need to write the letter in the Ministry of health. Many questions concerning the quality of medical services can be resolved through the insurance company. The list of services funded by the CHI program, should hang in every facility in a prominent place – often at the information booth at the reception. About the services that are provided under the policy of voluntary insurance, you can always ask the insurer. The company must respond to your appeal. The address and telephone number of the insurer you will find on your insurance policy. The organization of certain types of medical care fall within the competence of local authorities. The work of the Department of "ambulance" or maternity hospital you can complain to the city health Department. In many communities there is a municipal program under which medical services that are not included in the list of OMS, but necessary in this place. In the city or district Department of health you are obliged to give complete information about these programs. It is possible that your complaint relates to these services, so raizdrav has all the necessary powers to deal with the problem. The Ministry of health should write if cases within its structure and to the insurance companies to no avail. Directly to the Ministry of health can be accessed in cases where your problem may not solve any of the lower court. For example, you do not receive the treatment that is provided free of charge to patients under Federal programs, or in your pharmacy missing drugs for patients with cancer, diabetes, etc. The letter, like any other appeal to official agencies, to send by regular mail or through a special form on the website of the Ministry. Clear copies of your requests and responses. If you are going to send a letter by regular mail with documents, making copies. For email, scan the most important document. Formats can be text or graphical. File size should not exceed 5 MB. Requirements to the text common to all of the access to official institutions. In the top right corner letters spell the name of the institution, as well as information about the author. Don't forget to include your home address and phone number. When sending requests via the website, all necessary data are entered in a special window. In the address briefly and clearly describe the problem. For letters submitted via the website, there is a limit – 2,000 characters. An ordinary letter can be a little longer, but it should contain only facts, i.e. what happened when and where. Regular handling send by registered mail at the address: 127994, GSP-4, Moscow, rakhmanovsky pereulok, 3. You must come to the notice that a letter has been received and registered. Department of work with addresses of citizens is obliged to register, and email address, it is regulated by the Russian legislation. Notice you can get both email and conventional.